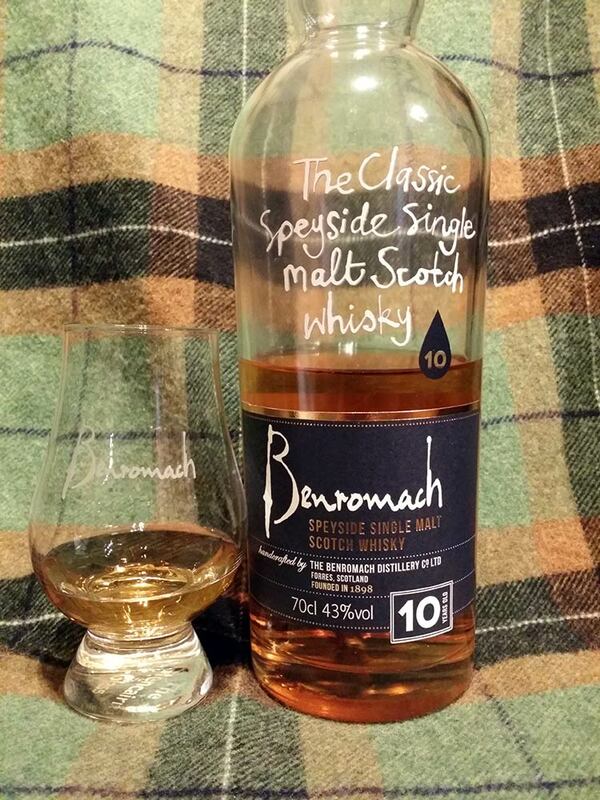 The nose opens with a mixture of fragrant, light peat smoke (the malt is peated to 10-12 ppm) and sherry influence. Quite astonishing, how only one year in (presumably fresh) Oloroso butts has taken control over the spirit but not getting too loud. Loads of dark fruits – brambles, cassis, wild raspberries on the front with cocoa and just a pinch of spice (star anise, cloves) and dry sherry in the background. Only the vanilla notes hint at the first maturation in ex-bourbon casks. The palate is very much in tune with the nose – light and aromatic peat smoke blends in nicely with creamy, mouth-coating ex-sherry notes paired with a malty-fruity sweetness. Well-rounded, mouth-watering and very quaffable at 43%, though I wouldn’t mind if it were bumped up to 46%. More raspberries, less cassis and brambles and there’s maybe a sneaky, juicy strawberry too. There are also notes of chocolate pudding, cocoa, but where have the spices gone? The medium-long finish is very gentle upon swallowing with a wood-fruit sweetness followed by sweet sherry and aromatic peat smoke fading to notes of malt at the end. The bottle boasts the very self-conscious statement “The Classic Speyside Single malt Scotch whisky”. Well, while Benromach, owned and resurrected by Gordon & Macphail, certainly isn’t one of the big old, classic Speyside brands nor the oldest distillery in the area, the style of the dram is what we commonly associate with Speyside: Light-ish, yet fruity, sherried, gentle and well-balanced. 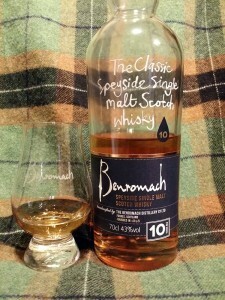 This 10-year-old ticks all of those boxes and the light level of peat smoke rounds it off nicely. And at about 35€ (at least that’s what it was when I bought it in 2014) it is a recommendable daily dram – and then some. I also prefer it to the 15-year old, which has an additional four years in Sherry casks, but is already overly dominated by the finishing wood – at least in my book. There’s also a 100-proof version of this 10-year-old at 57%ABV which I will review soon.